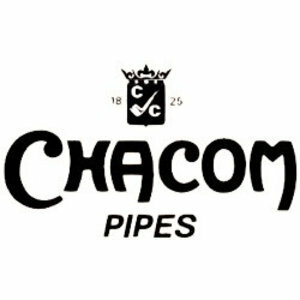 Beautiful briar pipe made in France by Chacom. There is an extra stem for smoking the pipe as a churchwarden. Acrylic mouthpiece with 9 mm. filter. Free tamper.